Iwata [Japan], Dec.1 : Yamaha Motor Co., Ltd. announced today that local group company Yamaha Motor Philippines, Inc. (YMPH) has produced its one-millionth motorcycle today since the company's establishment. To mark this event, the Batangas Province-based YMPH held a memorial ceremony attended by Katsuhito Yamaji, Senior Executive Officer and General Manager Manufacturing Center, Yoshihiro Hidaka, Executive Officer and Manager of Motorcycle Business Operations 1st Business Unit, 800 YMPH employees, and other guests. Iwata [Japan], Oct.11 : Yamaha Motor Co., Ltd. announced today that it has developed a new unmanned helicopter, the FAZER R. on sale from November 2016, this high-end industrial unmanned aircraft (commonly known as "drones") model is designed for the agricultural sector. As it can carry a load of 32 liters of spray, the largest ever in Yamaha Motor's range of industrial-use unmanned helicopters (" unmanned helicopters"), the FAZER-R will have the ability to spray chemicals over four hectares of land without the need to reload or refuel, allowing significant increases in efficiency and labor saving for agricultural spraying. New Delhi: Yamaha Motor India on Saturday reported 12.13 per cent increase in domestic two-wheeler sales at 44,602 units in December 2014. The company had sold 39,777 units in December 2013. Commenting on the sales performance, Yamaha Motor India Sales Vice President (Sales & Marketing) Roy Kurian said: "Our relentless efforts to rev up sales, backed by innovative marketing strategies and an impeccable product portfolio across segments, have reaped robust results." New Delhi: Japanese two-wheeler maker Yamaha, better known for its performance bikes, is turning to fuel efficient technologies for the Indian market as it eyes a bigger share in the country's two-wheeler segment. As it tweaks its strategy of focusing on 'performance' to 'performance with mileage', the company plans to introduce fuel efficient technologies in its upcoming launches as well as upgrades of its existing models. New Delhi: Yamaha Motor India on Monday reported 40.14 percent increase in domestic two-wheeler sales at 47,680 units last month. It had sold 34,021 units in May 2013, Yamaha Motor India said in a statement. The company last month exported 19,440 units as compared to 15,356 units sold in May last year, up 26.6 percent. Yamaha Motor India Sales Pvt Ltd Vice President (Sales & Marketing) Roy Kurian said: "This has been a good month for us as we witnessed brisk growth due to our excellent product line-up and innovative customer-centric activities." Yamaha Motor India and Honda Motorcycle & Scooter India (HMSI) enjoyed impressive growth in sales in December 2013, despite persistent sluggishness in the economy. The Indian arm of Yamaha enjoyed a year-on-year increase of 36.88 per cent in total sales, 47,483 units in December 2012 to 64,997 units in December 2013. The company's domestic sales jumped 58.32 per cent to 39,777 units in December 2012, from 25,123 units in the corresponding month of the previous year. Panaji, May 24 : In a bid to shore up its market share in the two-wheeler segment, Japanese auto major Yamaha's Indian subsidiary launched Friday a new variant of its automatic scooter Ray. According to the company, Ray Z has been developed to target young male users between 16-22 years with the concept of "aggressive sporty design" priced at Rs. 48,555 (ex-showroom New Delhi). The new variant comes a year after the launch of the initial "Ray" model which was developed to target young women. However, Yamaha felt the need to launch a sporty scooter for boys to expand and increase sales in India. The Indian unit of Japanese Two-wheeler maker, India Yamaha Motor (IYM) reported an increase of 20.50 per cent in total sales during the month of March. The company said that its sales increased 20.50 per cent to 50,473 units during the month compared to the same month of the previous year. It said in a statement that it had sold a total of 41,886 units in March of 2012. The statement also said that its domestic sales increased 20 per cent to 35,782 units compared to 29,819 units recorded in the same month of the previous year. The Indian Unit of Japanese two-wheeler manufacturer, Yamaha Motor has said that it will now offer its FZ, FZ-S and Fazer motorcycle models in new colour schemes for 2013. The customers in India will now be able to buy the three models in black, blue and red with revised graphics on the fuel tank. The FZ-S model will come with an additional golden paint scheme while the Fazer will have one additional shade of red colour. The changes made to the popular FZ-range are only cosmetic and no modification have been made to the appearances. Automotive giant, Yamaha Motor has announced the launch of the first driving trainingprogram meant for ladies in India. The company announced the launch of Yamaha Female Riding Training Program (YFRT) in the southern city of Chennai. Yamaha had entered the Indian scooter market with the launch of Ray in September 2012. Ray is targeted at young urban women in the country. Chennai, Jan 4 : Hoping to sell around one million two-wheelers by 2015, India Yamaha Motor Pvt Ltd expects its scooters to contribute a major share in that, a senior company official said Friday. "Nearly 40 percent of the one million units will be from two-wheelers. The scooter segment is growing at around 20 percent per annum while the two-wheeler segment is growing at 11 percent," Roy Kurian, national business head - sales, told reporters here. Two-wheeler manufacturer Yamaha's recently introduced scooter "the Ray" targets at young working women and college students. The Yamaha Ray is powered by an 113cc engine that promises to deliver a mileage of 45 kilometers per litre. India Yamaha Motor (IYM), a division of Japan-based two-wheeler company Yamaha Motor Co., aims to increase sales of its two-wheelers in the country to two million (20 lakh) units in 2016 and subsequently to 2.8 million (28 lakh) units in 2018, a top company official has announced. Speaking at the launch of the company’s new scooter, the Yamaha Ray, in Hyderabad, IYM CEO & Managing Director Hiroyuki Suzuki said that the company would erect a new manufacturing plant in Chennai, which would production capacity, helping the company in achieving sales of 1 million units in 2014. Tamil Nadu Chief Minister Jayalalithaa signed MoU with give different companies to speed up the process of setting up production facities near Chennai. Considered as auto hub of India, Chennai will greatly benefit from the current move. Ashok Leyland-Nissan Motor Company joint venture will invest nearly Rs 4500 crore to setup commercial vehicle manufacturing facility. Yamaha will have its biggest facility in Chennai to manufacture scooters. 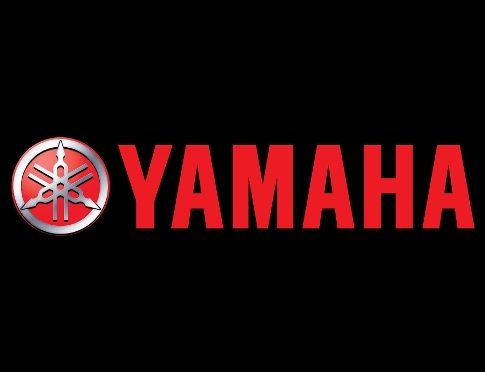 Japanese two-wheeler maker, Yamaha has said that it is planning to invest a about Rs 1,500 crore over the next five years for setting up a new plant in the southern state of Tamil Nadu in India. India Yamaha Motor (IYM), the company's wholly owned subsidiary, will begin production in the new production facility in 2014. The plant, which will be located at the industrial park in Vallam Vadagal near Chennai, will have an initial capacity to build 4 lakh units and will be expanded to 18 lakh units by 2018. New Delhi, June 1: Prompted by new product offerings and marketing initiatives, two-wheeler manufacturer Yamaha Motor's Indian subsidiary Wednesday reported a domestic sales growth of 59 percent in May as compared to the like period in 2010. "India Yamaha Motor has registered a growth of 58.7 percent in its domestic market for May 2011, with a sale of 27,959 units as compared to 17,614 units sold last year," the company said in a statement. Economic Times-ZigWheels Car and Bike awards were organized in Mumbai on January 21. Car of the year award was given to Ford Figo whereas the best motor bike of the year award goes to Yamaha SZ-X. Ford Figo has earned three awards including the ZigWheels .com Viewers Choice car. Hero Honda had won the bike manufacturer of the year for the consecutive second year. The Indian subsidiary of the Japanese two-wheeler major, Yamaha has been able to make a perfect comeback in the Indian market so far. With the launch of products like R15, FZ16 and FZ-S, the company hit the right chords of the Indian consumer. In fact, continuing its growth story in the domestic circuit, the company has been able to file a growth of 30% in units sold for the month of August 2010. For the record, the company sold close to 30,450 units in the month of August 2010, way up as compared to the 23,466 units sold by the Japanese auto major in August 2009. Auto financing company, Bussan Auto Finance India has said that it is targeting to achieve a sale of Rs.100 crore through Yamaha Motor alone. This will be in the field of providing loans to the customers as well as the dealers. All of them will be in some form or the other related to Yamaha. Talking to a private news agency, PTI, Bussan Auto Finance (BAF) India's Chairman and Managing Director Kota Odagiri told, "We have already financed Rs 100 crore in the last two fiscals. We will finance another Rs 100 crore of Yamaha customers this fiscal."